St. Louis Immigration Attorney Jim Hacking Explains Why Working with an Experienced Immigration Attorney Can Boost Your Chances of Success - Hacking Law Practice, LLC. People who are considering hiring an immigration attorney often ask us why they need an attorney. Some people interview us and conclude that they can handle their immigration matter without an attorney. And there are certainly some simple issues that people should feel comfortable handling themselves. But obtaining lawful permanent resident status for a family member is probably not one of those “simple matters.” Last month, we were contacted by a very intelligent, sophisticated client who had filed an I-130 family visa petition and I-485 green card application for his mother. This man had lived in the US for a very long time, was a US citizen and highly educated. His mother’s case had been pending for 10 months – since November of 2012. The man had filled out all of the right forms; however, there were one or two small little errors on each of the forms. Nothing fatal, nothing crucial – just enough to confuse the immigration officers at USCIS. When the man came to see us, he brought a request for evidence that raised five serious questions about the application. USCIS invited the man to provide answers to the questions and to submit an entire new, corrected application at no cost. He had 30 days to do so. Wisely, this time, the man hired us to help him. None of the issues raised were overly complex or difficult for us to deal with. We file these family based applications routinely and it was relatively easy for us to clean things up. 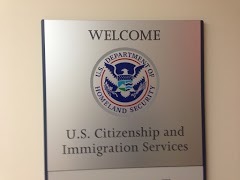 We prepared all new forms and resubmitted them to USCIS. The visa and green card applications were approved in 18 days. Our client and his mother were very happy. The lesson to be learned here is that while you can handle some things yourself at immigration, for most matters you are probably better off with an experienced immigration attorney. This man and his mother had to “sweat it out” waiting for 10 months because of the little mistakes that they had made in the application.